This is a good dinner to make when you have the dreadful take out cravings that come every once in a while.. or if you just really want some orange tofu to go with some of your stray veggies that you bought and haven’t used. That’s why this recipe stuck around, anything goes. Broccoli, squash, cauliflower, peas, kale.. it’s endless. 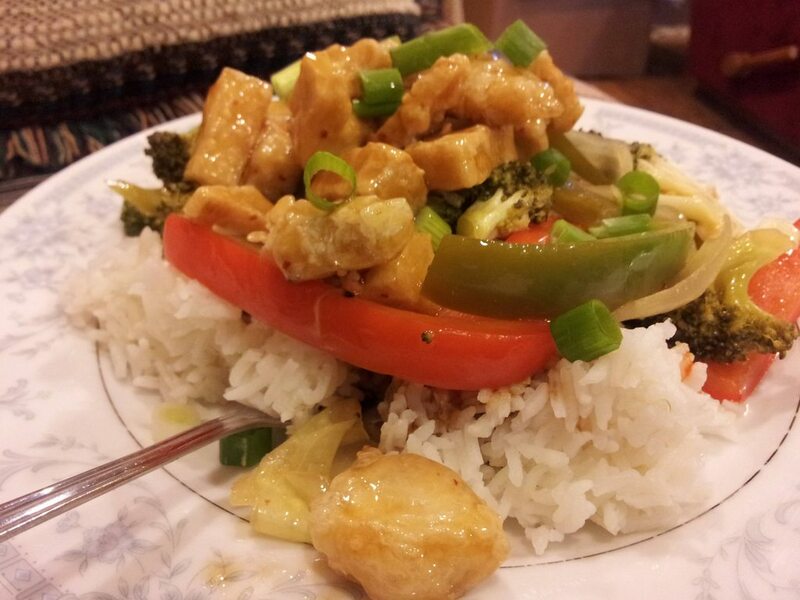 This entry was posted in Recipes and tagged broccoli, brown sugar, cloves, cornstarch, ginger, lemon, olive oil, orange, red pepper, scallions, soy sauce, tofu, vinegar.